We were finally given the green light to post the pictures from this event! 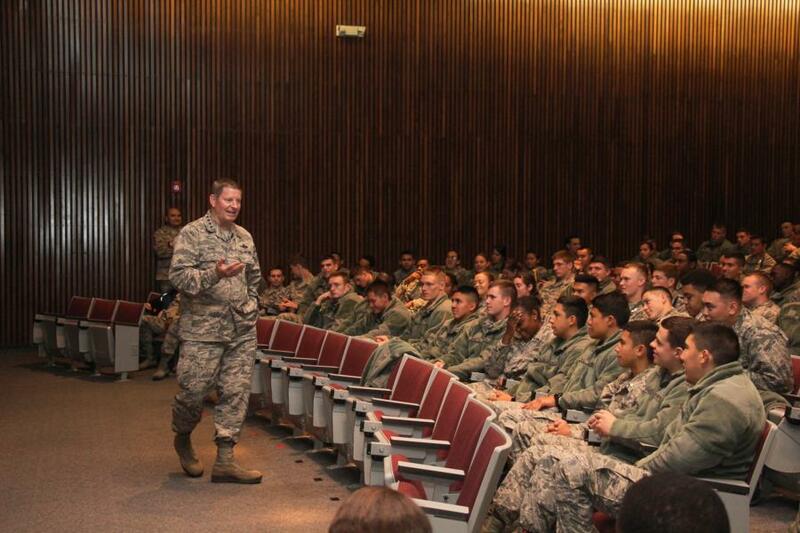 Back in October, 4 Star General Robin Rand stopped by the Prep School to talk with the current Prep class. General Robin Rand is in the Prep School Hall of Fame and served as the Class of 2015 Prep School Exemplar. He is currently the only 4-star graduate of the USAFA Prep School. He graduated from the Prep School in 1975, earning an appointment to the Academy and graduated in 1979. 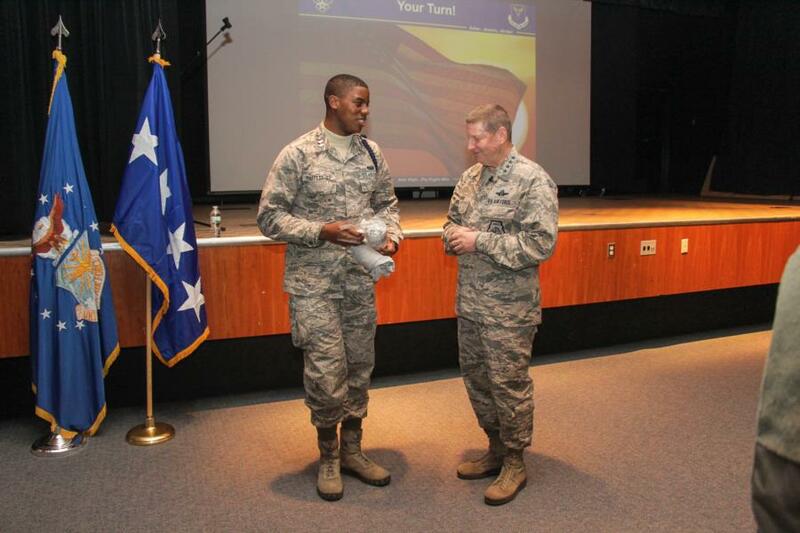 Commissioning into the Air Force as a second lieutenant. He has had multiple flying and staff tours that have taken him all over the planet: North America, South America, Europe, Asia and the Middle East. He has been an air liaison officer with the Army. 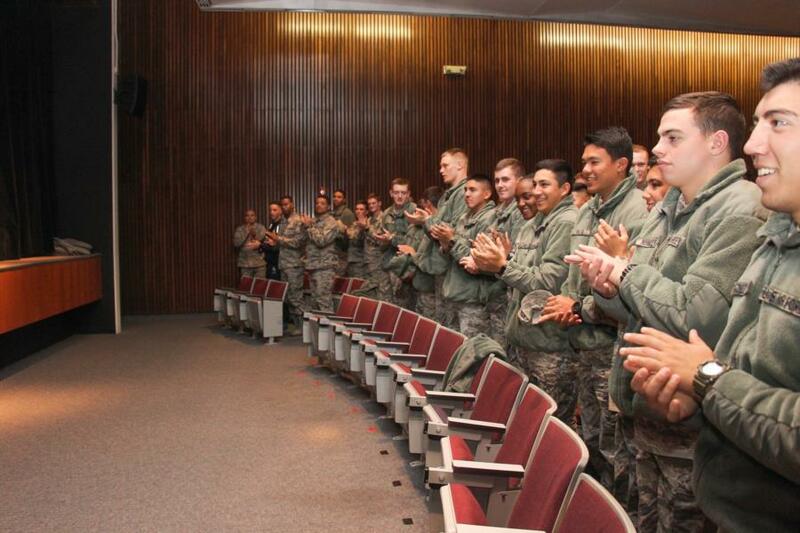 He's been on every staff: HQ Air Force, Joint Staff, and the Office of the Secretary of Defense. He has commanded at the squadron, group wing (three times), Numbered Air Force and Major Air Command (two times). General Rand is a command pilot with more than 5,100 flying hours, primarily in the F-16, and he has more than 470 combat hours. 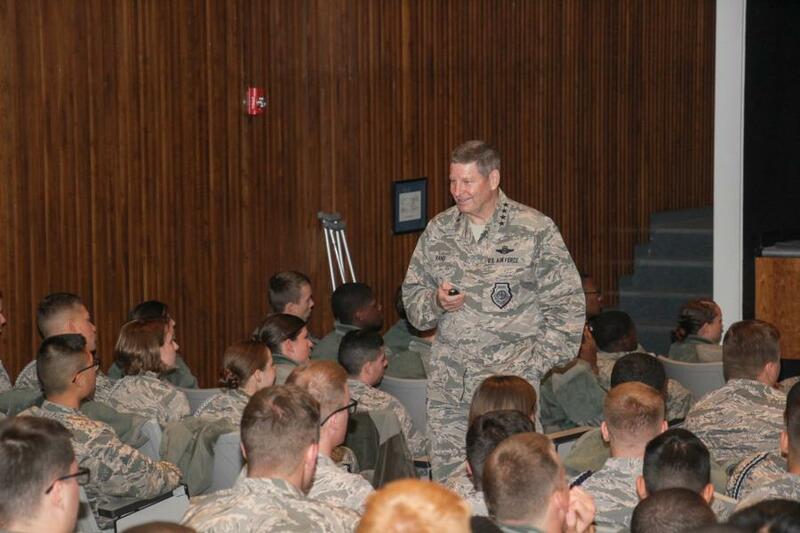 Currently, he is the Commander of Air Force Global Strike Command, and Commander of Air Forces Strategic-Air, U.S. Strategic Command, at Barksdale AFB in Louisiana. 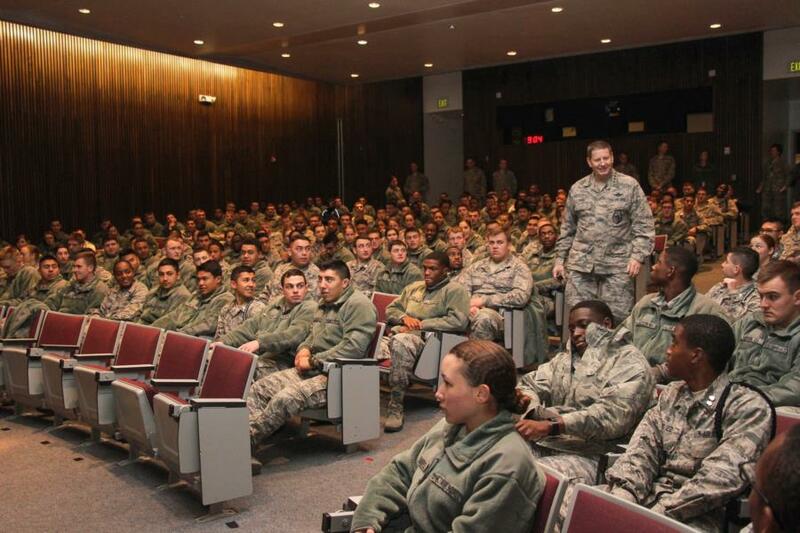 He spoke to the C/C’s about the Mission for the Air Force - To Aim High, Fly, Fight and Win. And how families are important - both parties - the ones in the military and the ones who stay home. Gen Rand shared several stories with C/C’s about people he's met along the way in the last 40+ years he's been in the Military. Each story he told - was about the willingness that each Airman had to achieve greatness, the strength they had - to do what needed to be done, no matter what. What they have been able to teach the next generation of Airman - whether that means learning how to fly or listen to commands. Or protecting innocents in any way possible even if it means sacrificing yourself. He explained that knowing their Heritage will make them smarter - what they can learn from those who came before them in the Military. 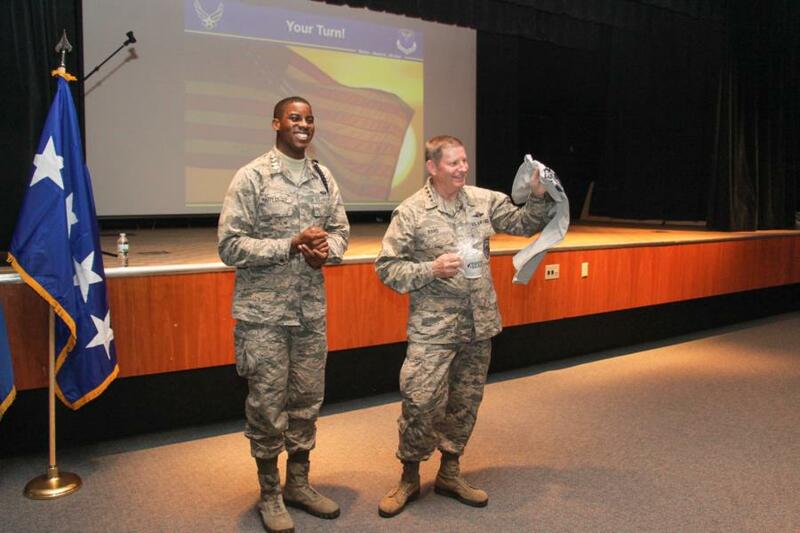 The diversity now seen within the military with men fighting alongside women as well as the diversity in the colors of skin and orientation, as well as many other ways the Military has evolved to what it is today. 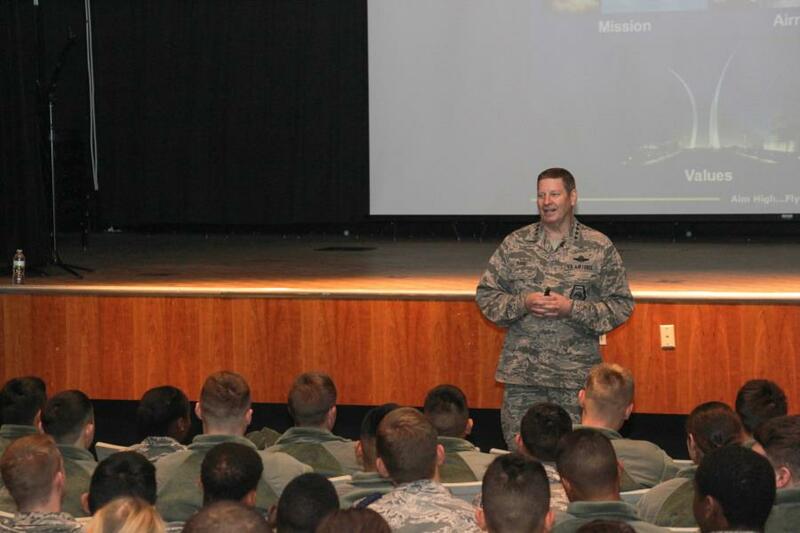 Each current generation of Airman are counting on the next generation to learn and lead. To follow in the long blue line and represent themselves with class and dignity. Afterwards Gen Rand was given a standing ovation and C/C Maffett presented a Prep Shirt and a Husky Mug to General Rand on behalf of the Prep School Class of 2018 and the Prep Staff. He told the C/C’s that this would be his 5th and final visit to the Prep School as he will be retiring next year. We have loved being able to capture a glimpse of his visits for the last three years at the Prep School and wish him all the best! To view the rest of our glimpse into General Rand's visit with the C/C's go to; Classes - Prep School - Prep Life. Or click the link below.